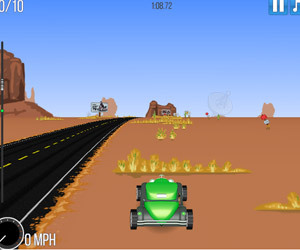 Angry birds and Bad pig racing game is in progress, choose your favorite character, Red Bird or Green Bad Pig, driving your car, keep balance, across the rugged mountain road, try to arrive the end point first, won the game! You are the Best driver! Come on!